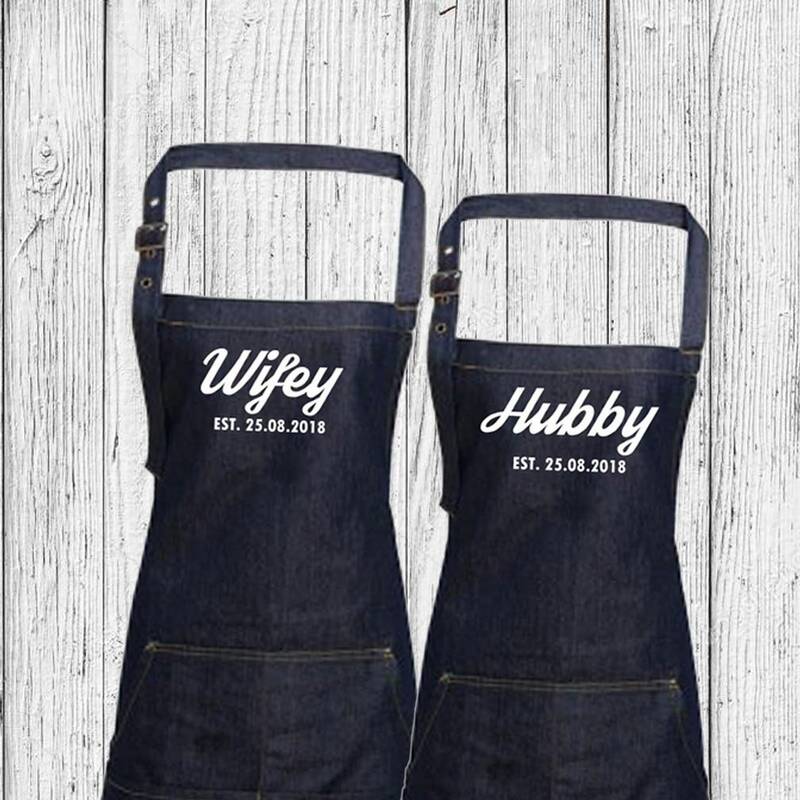 Custom / Personalised Hubby and Wifey Premier Stitch Indigo Denim Unisex Bib Apron. The perfect wedding, birthday or Christmas gift. 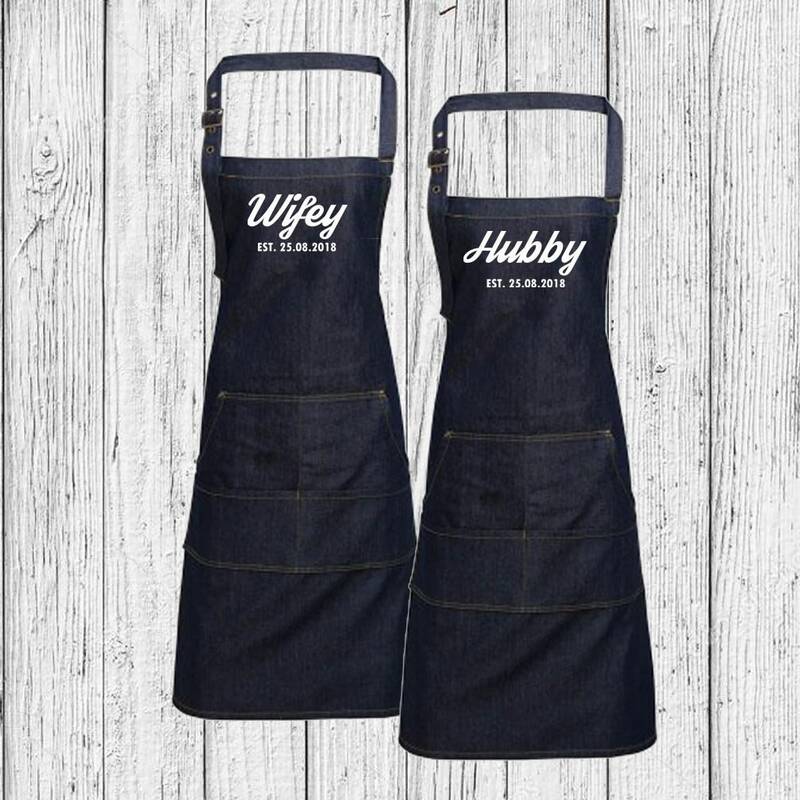 Order individually or as a set of 2 aprons. Made from cotton and polyester twill with contrasting stitching for a great look. Complete with adjustable buckle on the neck band with 4 pocket compartments. The Apron is printed with high quality heat vinyl using a professional heat press, and will not crack, peel or fade. The dimensions of the Apron image are approximately 200mm wide. 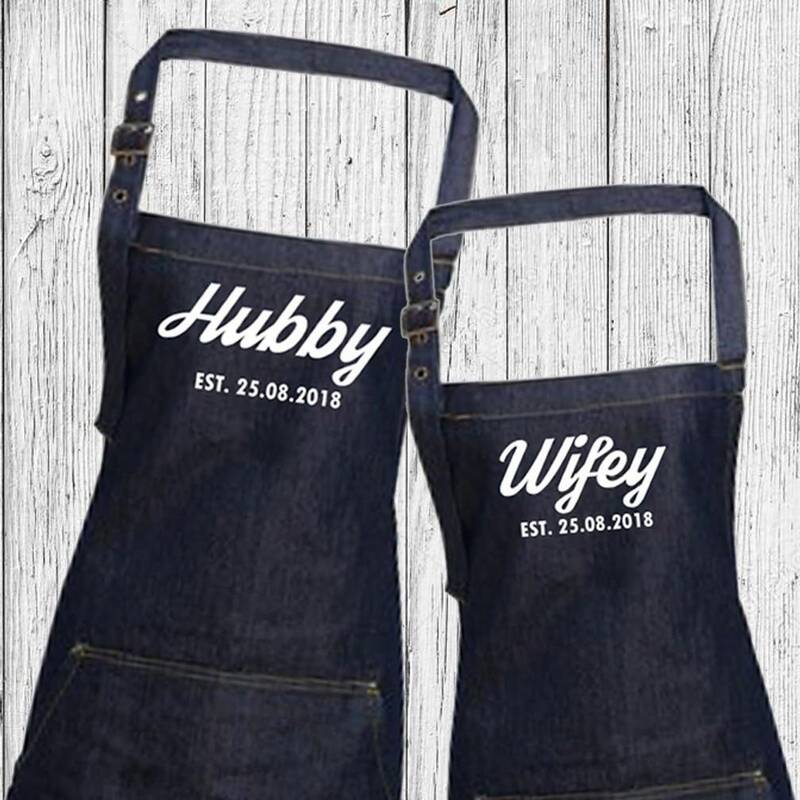 All Aprons are made to order and will generally be dispatched between 1-2 working days from receipt of order. Please include the wedding data when placing your order. All UK orders will be dispatched by 2nd Class Royal Mail. International postage options are also available.